If you are like us, you thrive on checking the freshest, most innovative looks during Fashion Week. We love fashion, our lives revolve around fashion but being honest, most of us would never actually be caught dead wearing a tiered feathered gown to work. No matter how much we love watching fashion shows, we often find ourselves scratching our heads and asking: “Who would actually wear that?” Most of the outfits are totally unwearable and unpractical. 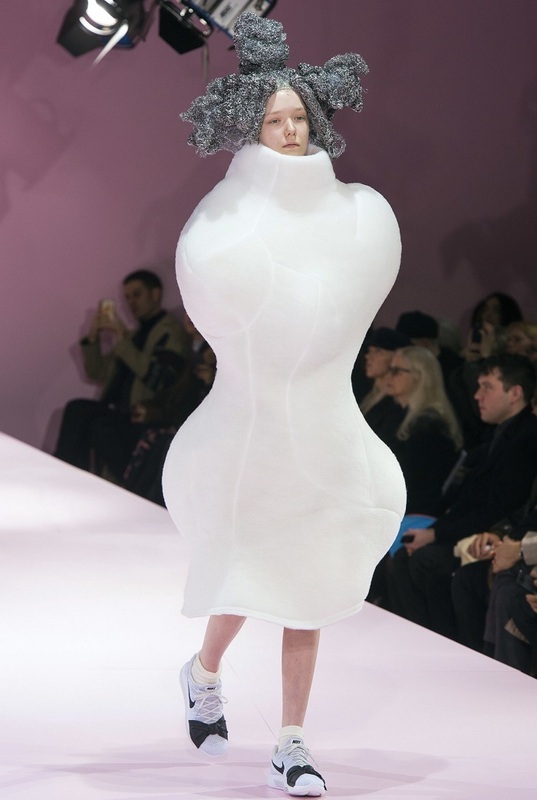 Some runway looks can only be described as downright weird. So why do high-end designers create such bizarre creations that will never actually be worn? 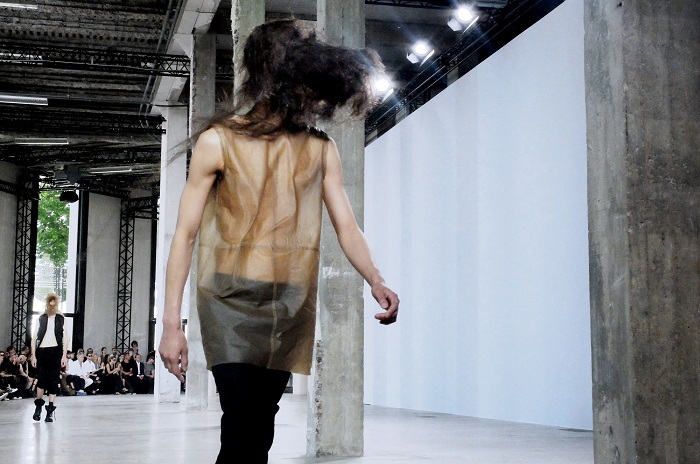 Fashion Week and other high-end runway shows will set the tone for next season. So designers such as Calvin Klein, Michael Kors or Tom Ford prepare a wearable collection based on these outrageous styles. These brands often never get to Lady Gaga, giving us a more down-to-earth style. Often they target a larger part of the population and are considered to be the top level of luxury fashion. But why do designers design clothes that we would never wear? There are two main reasons why designers create these completely unwearable outfits and both of these reasons are totally intertwined. The first reason is that fashion is ART. All fashion designers are artists and basically use their designs to express themselves. And a basic T-shirt and old ratty jeans just doesn’t give them the ideal foundation for creating their masterpiece. The second reason is that using a literal human body gives them the ideal canvas for creating, living, moving sculptures that wear their art. Often, Fashion Week runway shows are compared to some of the amazing, breathtaking modern art we find at your local art museums. Some of the most inspiring works of modern art were never intended to be sold or displayed in someone’s dining room. Since most of them are too large, too fragile or not suitable for a normal house. Such is the case, with this unique piece from the Comme Des Garçons’ fall and winter Collection. This piece looks like a moving piece of modern art, but it is the designer’s interpretation and parody of how a female body is forced into accepting absurd body expectations. So, instead of looking at how unpractical the garment itself is, look at runway shows as a moving, breathing and living art show. That brings us to another point, which is that runway shows are designed to sell these unwearable pieces of art, but they are exclusive art shows, often closed off from the general public. The spectators have the privilege of interpreting the so-called customs or designs, just as we would in a ballet or opera. Also, runway shows give designers a chance to show off their techniques, fabrics and different materials. 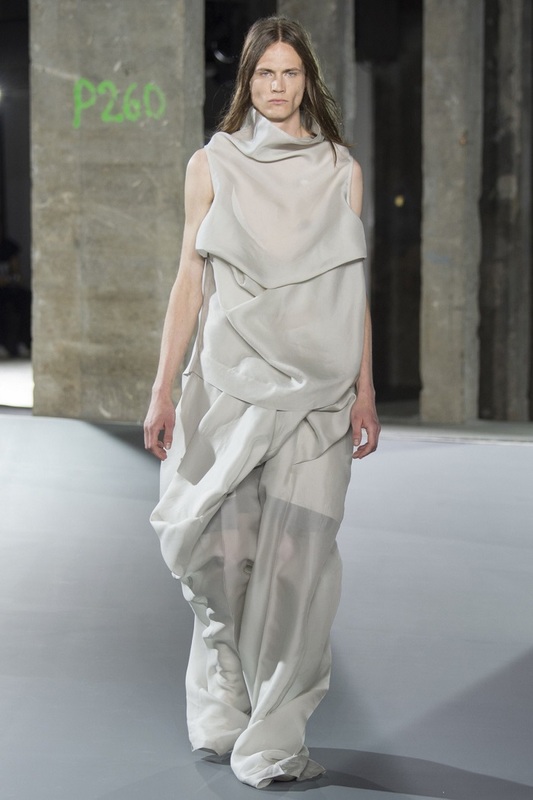 Such as we can see above in the Rick Owens collection, which showed off his outstanding draping and coiling skills. So the bottom line is, basically everything we see at Fashion Week, will be transformed into something a little more wearable and comfortable. All of which will be worn next season, but of course, far less insane. Fashion Week and pop-up runway shows will set the mood for the entire style of next year, by transforming those unwearable pieces into something that you might already have in your closet. 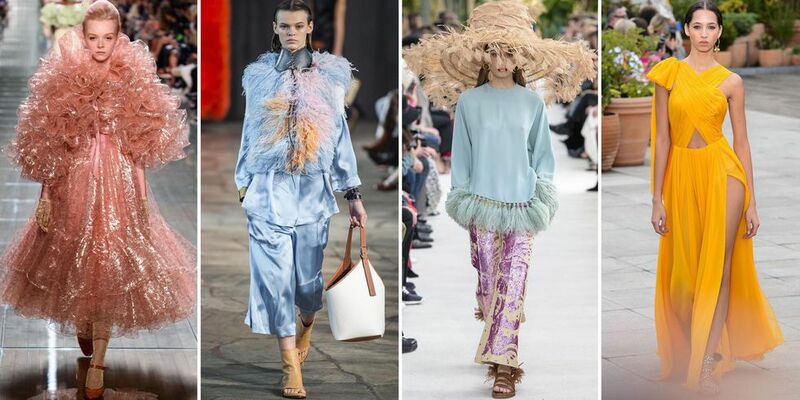 So, what fashion trend from this year’s Fashion Week will be your muse? Next time you watch a Fashion show, just think that they are forecasting the future styles you will be wearing.